For couples who have been trying to get pregnant for some time, daily stress can be compounded with the worry that they will never become parents. All this stress packs a punch and, in the end, it can be detrimental to their ability to conceive. What many of these couples don’t know is that nature is on their side and is there to help. Of the many gifts mother nature provides are herbs that help the body to manage stress. Native to Eastern Russia, Japan, China and Korea, Eleutherococcus senticosus, is one of the most extensively researched botanicals in the world. Sometimes called “Siberian ginseng”, Eleuthero root is not a true ginseng – it belongs to the same family as Panax ginseng, but it’s not the same species. Its incredible reputation in herbal healing rivals that of its popular Asian and American brothers, and most experienced herbalists consider it an equal. Early Russian research from the 1950s suggests Eleuthero root works primarily as an adaptogen herb to help the body resist or adapt to stress. Preliminary tests show it improves the body’s ability to handle physical strain and improves mental sharpness for people working long hours. Nutritionally, Eleuthero contains Eleutherosides, which are chemically similar to Panax Ginseng’s ginsenosides. Eleutherosides bolster immune defenses, helping autoimmune-related fertility issues; they can also help fight the herpes virus if sexually transmitted infection is disrupting your fertility efforts. Eleuthero root is rich in saponins that help to balance hormones, support the adrenals, and benefit energy levels. Glycosides found in Eleuthero root offer antioxidant protection and aid in having a healthy immune response. In the world of herbs, Eleuthero root is a major player. Following the nuclear disaster at Chernobyl, people took Eleuthero to combat the effects of radiation and toxic chemicals. Today, it is used to prime the best Russian athletes for Olympic competition. For fertility, Eleuthero root encourages hormone balance for men and women, increases Qi (vital energy), improves sleep, normalizes appetite, and helps the body to fight stress (a major fertility blocker). Healthy fertility is really the outcome of a healthy, balanced body and Eleuthero root excels in this capacity. For women: Eleuthero supports healthy menstruation and supports uterine tone. It specifically supports the adrenal glands, (small glands that rest atop the kidneys) which secrete stress-fighting hormones. Eleuthero is ideal to combat infertility-related depression and fatigue, and helps the body rebuild strength after illness or exhaustion. Eleuthero offers a fertility boost for men, too: In phase 1 clinical trials, the Chinese combination Kan Jang (Andographis/Eleuthero) was found to increase sperm count. Animal studies show it may combat impotence, too. 1. Royal jelly, propolis, and bee pollen in Active Bee Power (delicious added to smoothies, warm tea or eaten by the teaspoon). 2. Eleuthero also combines well with Ashwagandha (Withania somnifera), Rhodiola (Rhodiola rosea), Reishi (Ganoderma lucidum) and Skullcap (Scutellaria spp.) as a traditional stress relief tonic. While it may not make you live forever, Eleuthero root has certainly earned its position as an exceptional adaptogen to promote a long and healthy life, and is an important natural fertility aid. Page, Linda, Ph.D. & Traditional Naturopath & Sarah Abernathy, (2011) Healthy Healing 14th Edition. Hi, is it safe to take Eleuthero after pregnancy? My wife need some help, so your input will really appreciated. Eleuthero is fine to use after pregnancy, but not while breastfeeding. If our team might be of more support, you are welcome to reach out us privately here… if you are able to share more of what she is going through and needs support with. Hello, Is it safe to take Eleuthero during pregnancy? I find it very helpful for mood and energy but now that I’m in my first trimester I’m concerned and there seem to be conflicting opinions about that. Also, my HCG level is very high and gestational sac large so I’m wondering if that could have anything to do with that herb. I have being using the Gaia brand so I am pretty confident that it is uncontaminated. As our educational focus is the time of preconception, I can not suggest Eleuthero be continued in pregnancy. I also know the experts I follow suggest against its use in pregnancy as well. It will be best to work with an herbalist near you who supports women in pregnancy, or a midwife (someone you can see one on one, who can monitor you should you continue any herb in pregnancy). I have not ever heard of Eleuthero having an impact of HCG levels or the gestational sac, but admittedly have not done research. Have you reached out to Gaia? That might be helpful to do. 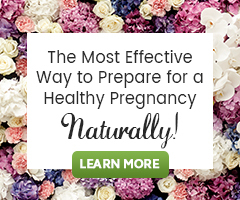 I am sure you understand that there are naturally mood and energy levels shifts is the first trimester and throughout pregnancy. Often these aren’t cause for too much concern. Perhaps there will be other helpful tips in our guide How to Have a Healthy Pregnancy – 5 Ways to Ensure a Healthy First Trimester.